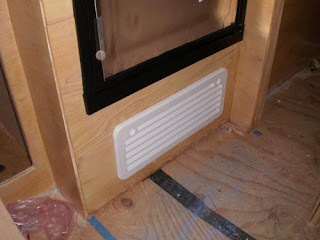 Today I started by installing a vent under the fridge. 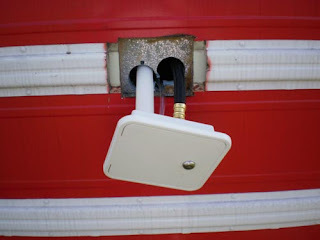 That way I can access all the water lines that are in this compartment. I used an outdoor fridge vent for this and it works great. Here is it with the opening door attached. 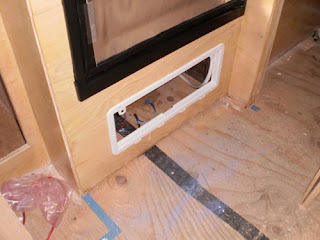 I also installed the fill door and plumbing. I hope to have the tanks installed tomorrow. I have tested the direct water line and it works!! !